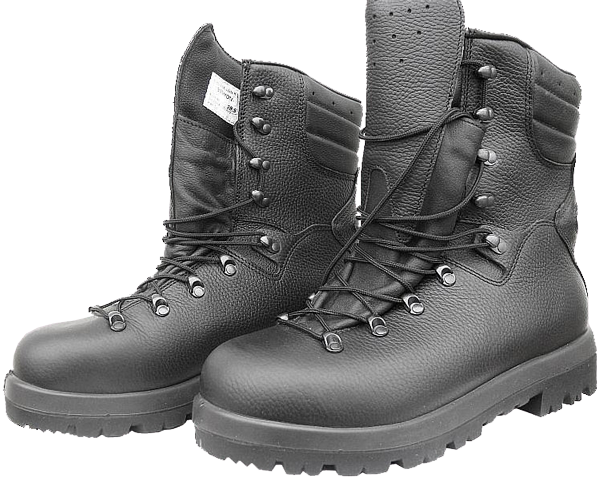 The process of 933/MON manufacturing involves new materials (insulation of "Thinsulate" microfibre (for conditions of high humidity); lightweight and sturdy "Cordura" nylon fabric, resistant to mechanical damage; "OutDry" membrane, placed directly on the inner surface of the boot's top leather; "Air Comfort" anatomical insoles of polyurethane/leather, providing better air circulation inside the boots, good thermal insulation, cushioning and shape retention, even after long-term use; the out-sole are made by "Vibram" or composite ones (made of polyurethane foam plus rubber or thermo-polyurethane). - "closed" bi-layer structure the out-sole (polyurethane foam in the heel + rubber, resistant to abrasion and temperature changes), resistant to oil and acid, antistatic. 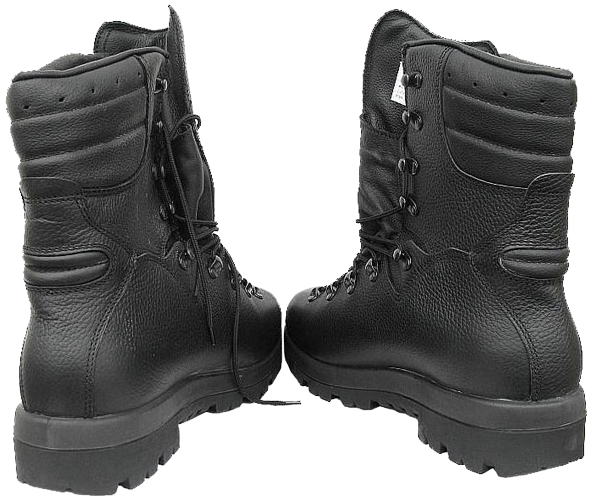 The similarity of the Polish winter boots with the new German army boots can be explained by the fact that the Polish company "P.W. Demar", which participated in the development of model 933/MON, was one of the German Ministry of Defence subcontractors, and have been producing Bundeswehr boots model 2005/2007 for several years. This was before the German company "HAIX®-Schuhe Produktions und Vertriebs GmbH" from the city of Mainburg "conquered" almost completely the market of military boots supplies for the German Armed Forces. The company "Demar" produces the most diverse footwear for more than 35 years- from the shoes for kids and home slippers to the specialized and working boots. 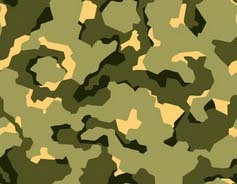 The company holds a considerable place in the footwear market of Poland and the Eastern Europe as well as in the Nordic and Baltic countries, so the Bundeswehr logistics had strong arguments to choose this company as a subcontractor at that time. 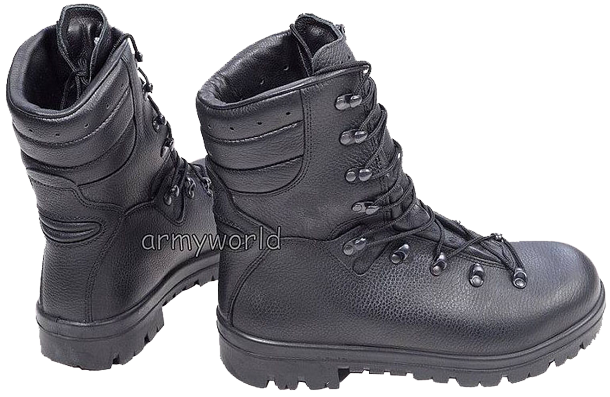 After the end of the Bundeswehr contract, the Polish boots, which are actually the analogues of the Bundeswehr boots Modell 2005/2007, are supplied by "DEMAR" to the commercial market under the brand name "DEMAR MASTER D12", but as a specialized footwear for civilian users. 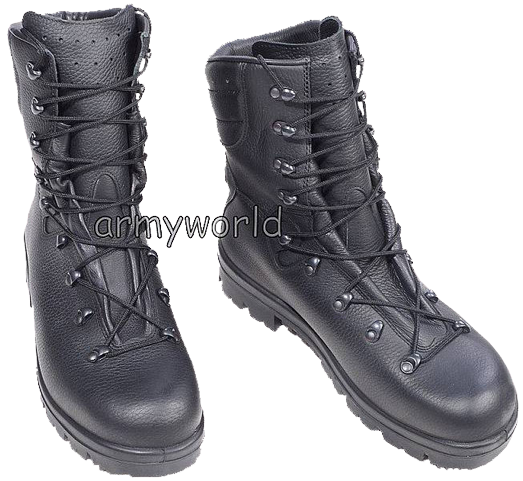 These boots can be ordered without difficulty on-line on the web-sites of the companies that specialize in selling of this company's footwear. By their appearance, "DEMAR MASTER D12" boots are almost complete copy of the German "Kampfstiefel Modell 2005/2007", but they are dark cherry in colour, the stitching thread is red, also the boots feature bright red sewn-on manufacturer labels and colourful two-tone laces. 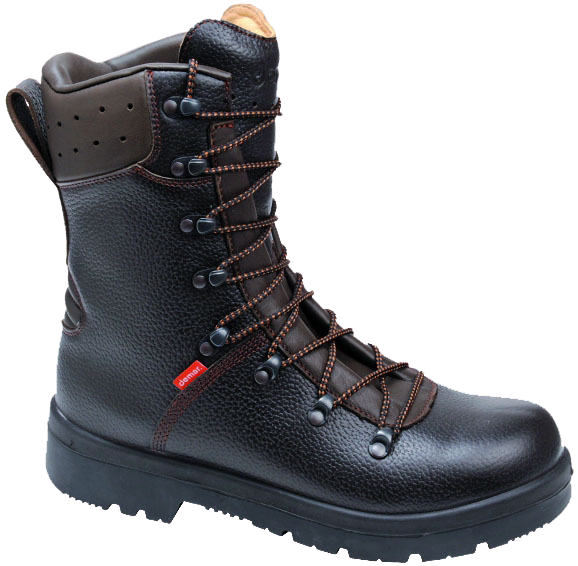 These details are likely to give these Polish boots the look of a kind of modern "safety boots". 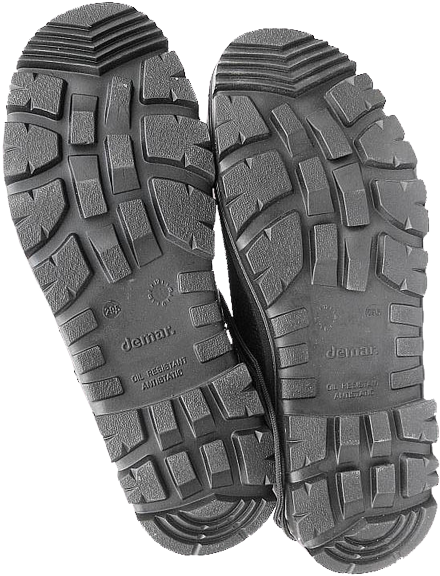 As for the Polish winter boots model 933/MON, one should mention among the contract manufacturers the companies "Protektor S.A." and "Wojas S.A." along with "Demar" company. Typically, all of the aforementioned manufacturing companies give a three-year warranty on their boots. The largest of these three manufacturers is "PROTEKTOR S.A." of Lublin city, it is active player in the footwear market of Poland and Europe for over 65 years.